The downgrade of the U.S.'s credit rating from AAA to AA may not seem to directly impact you yet. Sure, gas prices have dropped which is beneficial, but there are other costs that will soon rise looming on the horizon – and food and healthcare costs are just a few of those expected to increase in costs. Healthcare, in particular, is expected to see a spike in price, and those enrolled in medical and nursing schools are already gearing up for the challenge these price hikes with bring. Higher prices will generally prevent individuals from seeking health care services until they are already too sick. However, there are ways to keep your health care costs low while still receiving the quality care you need to do the following things. Because of the rising costs in healthcare, you need to remain aware of any changes that may occur in your health insurance. Some providers may change the amount they are willing to cover for certain procedures, or reduce the number of cost-free visits they allow. They may also increase your co-pay. To ensure that you aren't left with large bills, review your health insurance policies to determine what is and isn't covered. Most health insurance policies offer a good co-pay rate for urgent care visits, but offer little help for emergency room visits. Emergency room visits often cost triple the amount of an urgent care visit so if you can stand to wait, always choose the urgent care unit. A sprained ankle or a cut may hurt now, but a $400 bill from the emergency room will sting a lot worse than the $50 you would have paid for the urgent care visit. Hospitalization is one of the highest costs to any patient, and as health care costs increase you can expect that $9 band aid to increase to a $15 band aid. If you must have surgery, opt for an out-patient or same day surgery. You won't have to pay for overnight expenses, and your hospital bill will be practically cut in half. 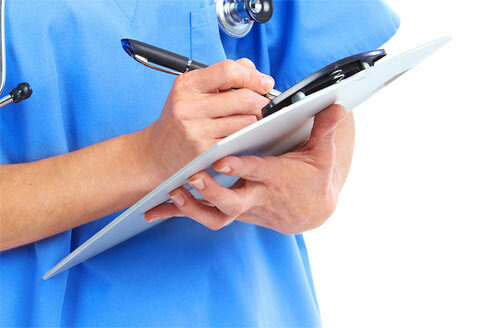 The healthcare industry frequently makes errors when billing individuals. Hospitals and clinics deal with hundreds of patients on a monthly basis, and on occasion, a patient is billed for another patient's procedures or medical supplies used. Always review your bills before paying so that you only pay for the treatment you received. While we can't always avoid getting sick, we can take better care of ourselves to prevent frequent sickness. Try to maintain a balanced diet, exercise, drink plenty of fluids, and take a multivitamin. Also, routinely give yourself the appropriate self-examinations so that you may find small issues before they become large health concerns and possibly large bills. Everyone is trying to reduce their spending so that they can survive the downturned economy, but you shouldn't have to risk your health to do so. Healthcare may be expensive, but you can avoid paying outrageously high prices by simply remaining aware of who is taking care of you and the treatments you are receiving. Previous Post: Are You Prepared For A Stock Market Drop? Next Post: Long Term Care Insurance Decision – Should You? Which One?